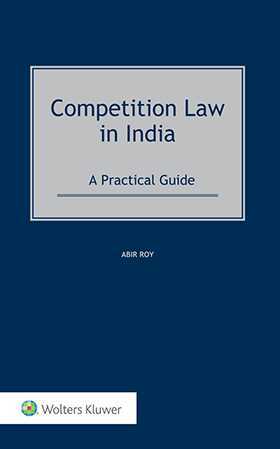 Competition Law in India: A Practical Guide provides comprehensive, practical guidance by outlining the highly distinctive manner in which competition law is interpreted in the major global market of India. Although relatively young in terms of its lifespan as a regulator, the Competition Commission of India (established by the Competition Act of 2002 but only coming into existence in 2009) has been extremely assertive in its enforcement outlook, and competition law in India continues to grow in importance as inward investment increases. The author – a leading Indian competition law practitioner – discusses the Competition Act that gives the regulator extraterritorial jurisdiction, which foreign companies need in order to keep up-to-date with modern practice and further highlights the differences in competition law practice between India and the EU. Analysis of numerous leading cases decided by the Indian competition authorities enhances the book’s practical value. This book encompasses a detailed analysis of the decisions passed by the Competition Commission of India in the first half of a decade of existence of the Commission, including the approach adopted by the Commission to analyse evidence on record. In addition, in-depth coverage of the march of competition law in India and jurisprudence developed by the Competition Commission of India and Competition Appellate Tribunal are discussed. This comprehensive guide provides a wide-ranging and thorough overview of a particular practice area in a key jurisdiction that is poised to become increasingly important in the international recognition and enforcement of competition law. Looking at the climate of investments into India, the book outlines the best practices that multinational companies and their advisors should be aware of, especially under the merger control regulations and serves as an aid to deal with an assertive regulator, such as the Competition Commission of India. As a guide to the ‘landscape’ of competition law in India, this book has no equal. It is of inestimable value to professionals in this area of legal practice, whether in law firms, corporations, academia, government, or the judiciary, as well as to investors, economists, and business executives.